This may be the best news we’ve had all week — and it’s only Tuesday. It looks like Ellen DeGeneres has done something fans will love once again, and this time around, it involves two of our favorite Friends alums, actors Courteney Cox and Lisa Kudrow. DeGeneres managed to reunite Cox and Kudrow on The Ellen DeGeneres Show on Tuesday, and the studio audience (and probably viewers everywhere) totally loved it. Here’s how it all played out. Cox was a guest on Ellen and spent most of her time on the show there to promote her new Facebook Watch series, 9 Months with Courteney Cox. Cox not only spoke about the premise of her show, which is all about Cox as she follows a handful of couples on their unfiltered pregnancy journeys, for better or for worse. The show sounds like it’s primed for success with Cox at the helm, but DeGeneres wanted to help give Cox that extra little boost needed to make sure the show was properly promoted. Ellen: "I wish Lisa Kudrow was here, because that would be fun." Courteney: "This is a shock!" Of course, we love a good Friends reunion — even if these friends in particular already reunited recently to grab a bite to eat and we got to see the photos from that lunch date. Who cares? 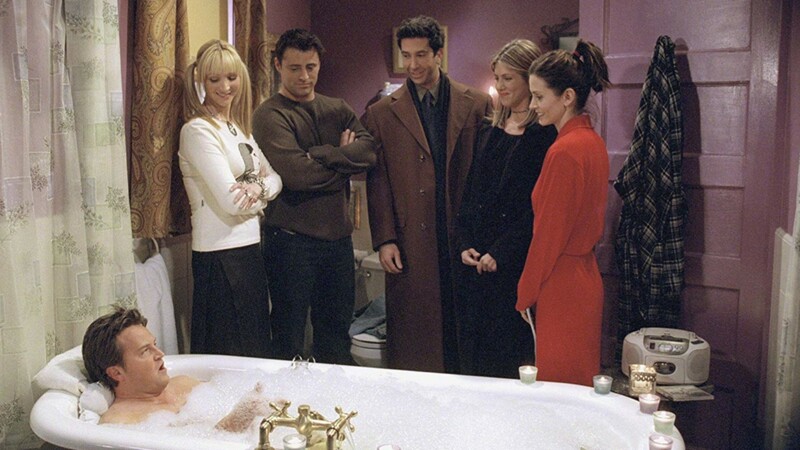 The more Friends reunions we have happening, the better.